I know you’ve seen this pig before but you’ll have to forgive me. I’ve been awful about documenting some of the food I’ve been cooking. But I don’t want my lack of photos to keep you from something as good as Apricot Miso Pork. In fact, I don’t know what you have planned for dinner this weekend, but scrap whatever it is and make this instead. The only bad thing I can say about AMP is that each time I’ve made it, I’ve managed to set off my smoke detectors. Those things are really sensitive to a change in temperature and when I open my oven door to baste the pork, they start screaming. So please make a mental note that you may want to remove the battery from yours before you begin…just don’t forget to put it back after you’ve enjoyed a meal of perfectly glazed pork. BAH Note: Even though I have access to an Asian Market, I get my miso at Whole Foods. The only reason for that is that’s where I found it the first time I ever bought it. So I’m used to the brand they carry. So much so that I made The Mistah take a picture of the container so that he could pick up a tub when we ran out recently. He scoffed at my peculiarity…until he tried the pork. Also, I fought the desire to make a substitution for the champagne vinegar. It’s not something I usually stock and I hate buying specialty ingredients. Deciding to go ahead and buy it was the best thing I could have done. The champagne vinegar gives the glaze and the sauce a special, bright punch. If you’re so inclined, you could substitute white wine for the chicken broth. I’ve made it both ways and can’t decide which I like better. Combine preserves, miso, vinegar, and orange zest in a small saucepan. Cook over medium heat 1 to 2 minutes until the preserves melt and the sauce thickens. Set aside about three or four tablespoons of sauce. Pat the pork dry and season with a bit of kosher salt. If using two thin tenderloins instead of loin roast, tie them together with butcher’s string being sure to tuck the thin ends underneath. Place on the prepared sheet pan. Roast for 10 minutes and then use a pastry brush to baste the pork with some of the reserved glaze. Continue to roast until the pork registers an internal temperature of 160 degrees, basting every 10 minutes. If the glazes starts to char, carefully drape some aluminum foil over the top of the pork and continue to roast and baste. Transfer the pork to a cutting board and rest for 10 minutes, covered with foil, while you finish the sauce. Add the chicken broth (or wine, if using) to the remaining glaze still in the sauce pan. Whisk to combine and cook for about 5 minutes or until reduced to about 2/3 cup. Serve the pork slices drizzled with the sauce. I really should take that January issues of Bon Appetit out of the shrink wrap! Beth, I think this and the soup were the only two recipes I tore out. But I think they are worth whatever that magazine cost me. Hmmm, I’ve never cooked with miso before. Might be time to start! Jennifer, the beauty of miso is that it keeps forever in the fridge. But I think once you taste AMP you’ll find yourself going through the miso pretty quickly. All Hail the Pig!! Pork, in any form, is a big hit at my house. Kitch, this savory dish has just a little bit of sweet. It’s been a big hit every time I’ve served it. This reminds me that I need to buy some miso. I used to keep some in the fridge all the time, but haven’t bought any in years. I’m betting that sauce would be great on chicken or turkey or tofu as well as pork. Minx, this sauce would pair nicely on chicken or turkey. Maybe even salmon. But I know not the tofu of which you speak. Don’t like it, huh? I’m so used to it, I actually consider it a viable protein choice. Minx, I like it in soup but I’ve never been able to embrace the tofu as a multipurpose ingredient. Maybe in time. i am a huge fan of miso, i made a miso sauce for tofu this week.. since i’m not eating any kind of meat for awhiles. 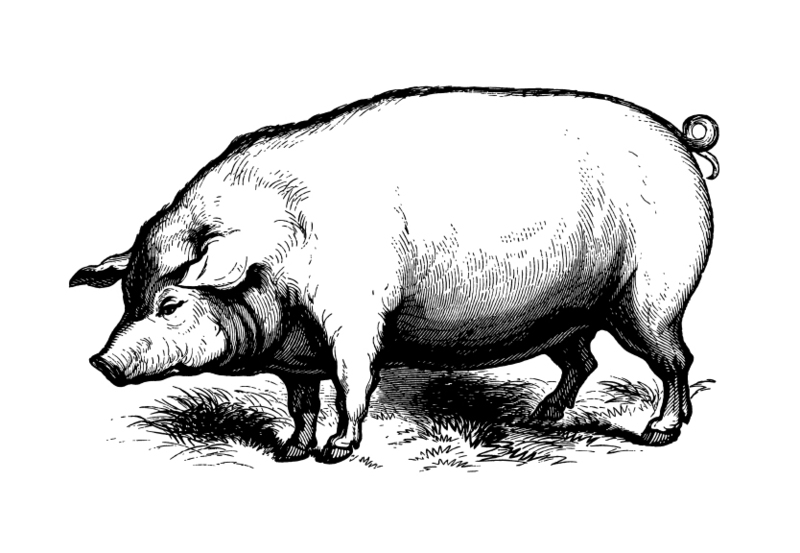 so i will make do with sides… what sides did you have with this pig? and i’m assuming if one doesn’t like apricots (like me), one can use another kind of preserves, like orange or apple?? Lan, if memory serves me correctly I shredded some brussel sprouts and pan roasted them to go with AMP. You really don’t like apricots? That’s a shame. I would say to maybe use peach or orange preserves instead. Not sure how apple would go with the miso…maybe you should give it a go and report back…once the 40 day meat embargo is over. Ha! Meat embargo. Like Lan, I’m also abstaining from meat (with the exception of this past weekend) for 40 days. In the meantime, I will be collecting all sorts of carnivorous recipes, AMP included. Personally, I think AMP would be a great way for you to break the embargo next month. Power on girl. Oh my goodness, this sounds so lovely. I’ve never made a pork tenderloin but it’s on the list. This might have to join it! Never Brooke? Please say that will change. Brooke, don’t tell anyone but I don’t have the confidence to walk into a butcher shop either. Hell, it took all the nerve I had to ask the man behind the meat counter at Giant for something I didn’t see in the case. But I did. And I got what I wanted. I love miso-glazed salmon, so I know I would love this!! Ohhhh Jenna, I have made my miso glazed salmon in a while. I need to fix that. Hope you’ll give AMP a try. I hope that he later acknowledged your peculiarity had purpose? Jen, miso wants to be your friend. Make it happen girl; you’ll be glad you did. The saltiness of miso, with the sweetness of apricot preserves. What a wonderful dish! It really is a lovely combination. And I would have never thought to try it if I hadn’t seen that recipe. I have yet to make a pork tenderloin but you have made it very tempting. Maris, I highly recommend this recipe as an introduction to pork tenderloin.